New Car Key crafted on the spot in any emergency call. Have you ever been locked out of your car? Did you lose your car keys? Everyone goes through this situation at least once in their lifetime. One of the biggest mistakes most people make is trying the improper method to open their car. If you try something like this, it might do more harm than good. So what should you do? Read further to know what you must do. What Should you do When You Locked your Car Key? If you have locked your car keys inside the car and you don’t have a spare key. What should you do? If you get locked out during the daytime, there is nothing to worry. You might get many helping hands. But if you are locked out at night, what then? Such situations are alarming and urgent. The only angel to come for your help will be the car key locksmith. Moreover, if your lock needs to be repaired, should you call a locksmith or go to a car dealer? The most cost-efficient and effective way is to call a locksmith. 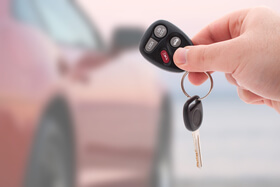 You will need a locksmith that is fully trained and qualified to offer car lock repair services. Whether your car key is stuck in the lock or the lock is broken. You need a locksmith to help you. A good locksmith can help you with any kind of lock. Car door locks are ever changing and becoming complicated but the method of unlocking car remains safe. The locksmith service eradicates the need for costly key replacement. They offer you the duplication service. This is to make sure you will not be locked out of your car or lose your keys again. If you lose your key, you will have a spare key to unlock the door. Chiko’s Locksmiths have a wide range of tools that can help you unlock your car door. Our team of technicians is equipped with the latest and advanced technology. This helps us in providing solutions for all types of brands and car types. Furthermore, our technicians are available 24/7, day and night. If you are in a situation which requires immediate attention, you must contact us. We, at Chiko’s Locksmith, provide roadside repair services as well. We will send our nearest expert for your help. Whether you need emergency trunk opening or any repair, we are the right choice. Our experts have years of experience and are highly skilled. We aim at removing the lock interruption as quickly as possible. So you can get back to doing what you want to do. 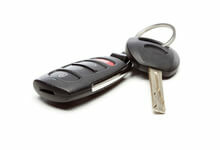 Therefore, calling us for all car key needs is the right choice. We will make sure your days of crying over lost keys is long behind.